Are you looking for someone to design and make a special piece of furniture or some other item involving woodwork? Perhaps you want to learn woodwork skills and techniques from an experienced woodwork teacher. 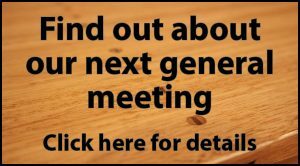 Among its membership, the Woodworkers Association of NSW has many professional woodworkers with a wide range of skills and expertise who can help you with these tasks. The following is a list of a majority of our professional woodworkers together with a brief summary of their area of expertise, their location and contact details. Their web sites provide more detailed information. They will be happy for you to contact them to discuss your woodworking related needs. Established in 1977. Works with private clients to make distinctive custom made furniture (Australia wide delivery). Trains emerging woodworkers as part of his craft practice. Woodturning and making handcrafted furniture from sustainably sourced timbers. Also woodturning and cabinetmaker teacher. Designer / maker of furniture usually in collaboration with clients. Requests for small household items including boxes and frames are always welcome. Fine furniture using sustainable materials. Wreathe hand railing and circle-on-circle joinery. Traditional marine joinery and timber work. Designer and maker of furniture and other wooden objects.